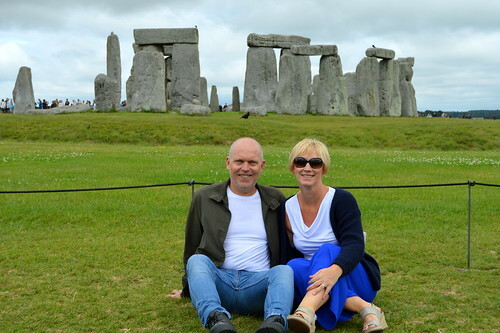 On the first day of our shortbreak to England, we stopped at Stonehenge as that was conveniently situated between Folkestone, where we got off the train, and Marnhull, the little village we stayed in. 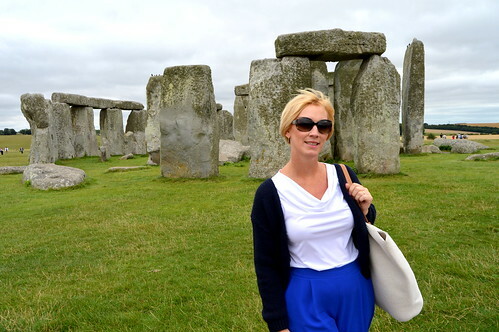 In today’s travelpost I will tell you a bit about Stonehenge, of course illustrated with heaps of pics I took that day! 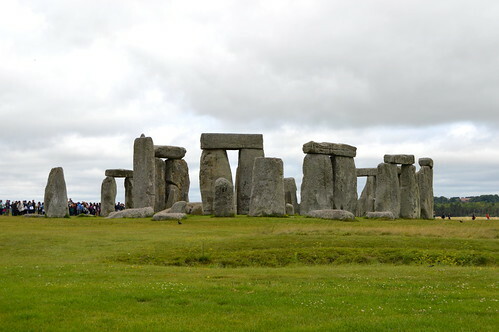 Stonehenge is one of the most famous prehistoric monuments in the world. 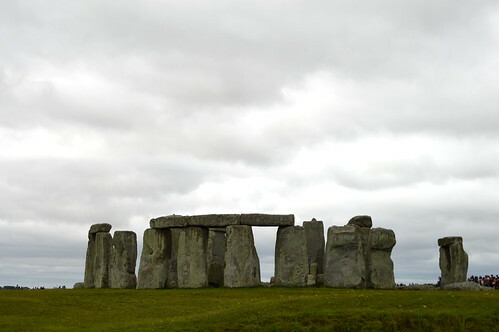 It was built in several stages: the first monument was an early henge monument, built about 5,000 years ago, and the unique stone circle was erected in the late Neolithic period about 2500 BC. 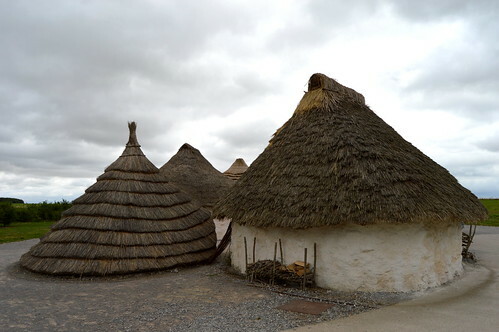 In the early Bronze Age many burial mounds were built nearby. 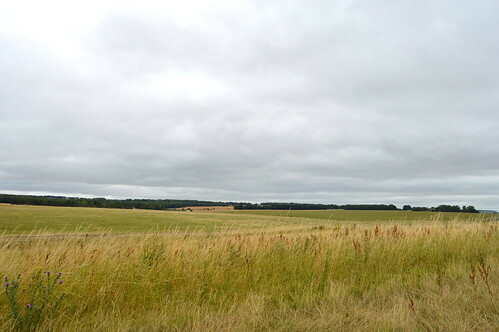 Today, along with Avebury, it forms the heart of a World Heritage Site, with a unique concentration of prehistoric monuments. 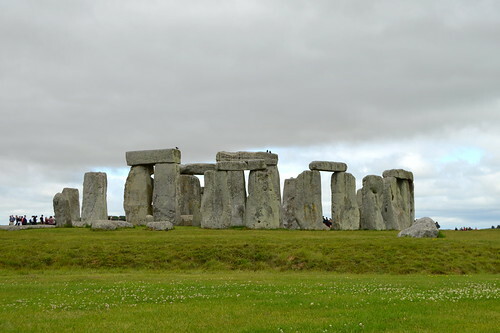 Well, as I mentioned before, Stonehenge is a very famous and important prehistoric monument. Walking around the impressive stone circle makes you very humble. 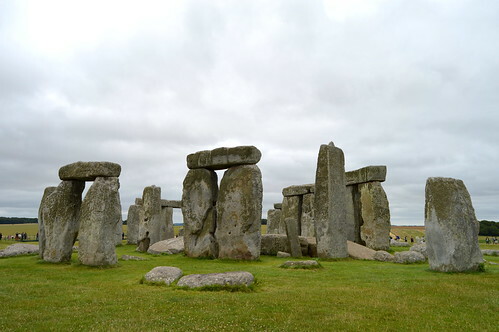 The site also has an information centre, which you should visit before going to see the monument itself, as it gives a lot of information about the how’s and why’s of Stonehenge. Stonehenge is situated in the south of England, about 2 hours west of London. 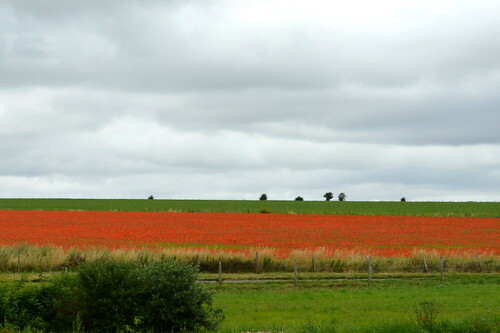 The site is accesible via the A303. If you follow the brown tourist signs you should get there fairly easy. Mind, it can get very busy on the roads around Stonehenge, as the stone circle is visible from the road. Drivers tend to drive by slowly to have a bit of a glimpse! To avoid a queue at the ticket office, you can buy your tickets online, which we did. You can walk from the entrance towards the monument. However, if you don’t have a lot of time or if you can’t walk for very long, I’d advise you to take the shuttle bus, which takes you right to the stones. Make sure you dress appropiately as it can get really windy on the Salisbury Plains! And a last thing: this sure is a site which is interesting for young and old, so bring your kids!! Next week I will tell you all about Salisbury, a lovely little town which is really close to Stonehenge. 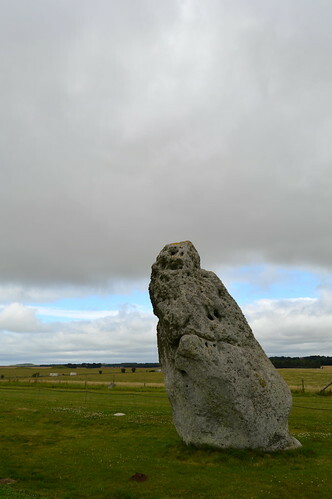 This entry was posted in England, Travel and tagged england, great britain, prehistoric monument, stonehenge, Travel, travelpost, uk, wiltshire.